JAC Founder & Special Projects Director Linda Rae Sher addresses the New Founders Conference in Chicago. JAC members joined people across the country saying #Enough to gun violence. 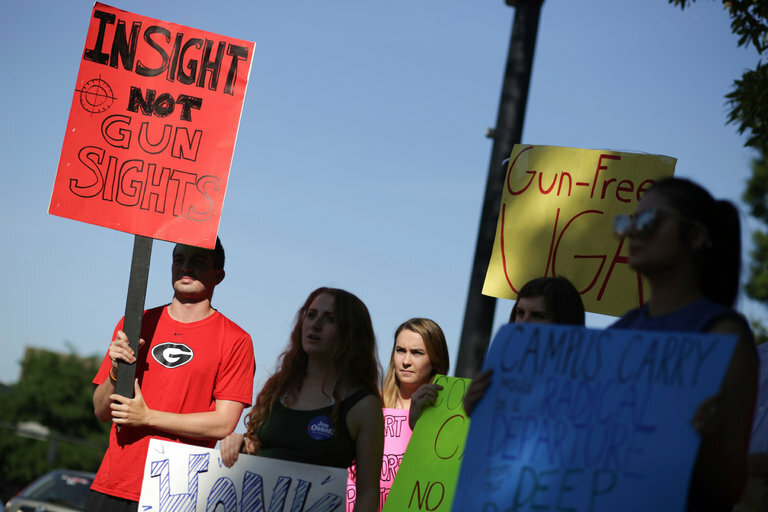 American voters support stricter gun laws 66 - 31 percent, the highest level of support ever measured by the independent Quinnipiac University National Poll. This includes 50 percent of gun owners, as well. 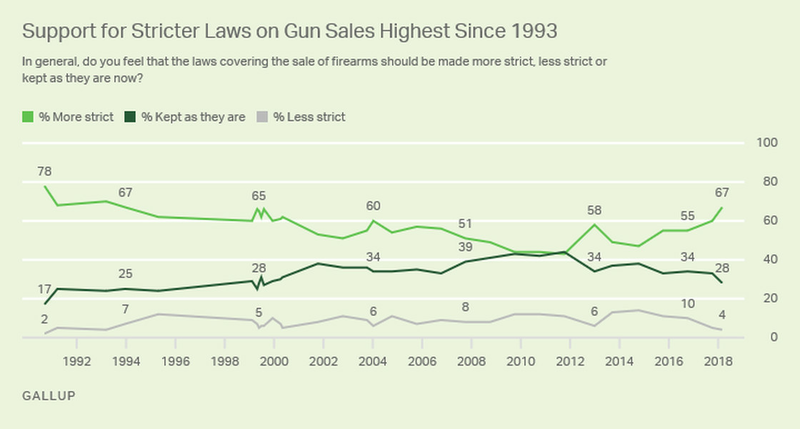 Support for universal background checks is itself almost universal at 97 percent. Nevertheless, Congress fails to pass meaningful legislation to end gun violence. Who are they listening to instead? The NRA, who spent $54 million in the 2016 election on the presidential and congressional races. Today is National Gun Violence Day. Events are planned across the country to raise awareness. But the only event that will count is November 8 - Election Day. Change will happen only when we vote out NRA candidates and elect candidates who will use courage over politics to finally say #Enough. "The scourge of school shootings happens here not because of the consequence of bad luck, but because of the consequence of inaction. We (Congress) are responsible," Sen. Chris Murphy (D-CT) has said. Use your vote to hold Congress accountable. Our children are counting on us. The Islamist Hamas movement, which rules the Gaza Strip, is facing its worst crisis in years as it confronts a severe cash shortage, a loss of regional allies and no obvious way to ease a blockade that is crippling local living conditions and stoking popular discontent. 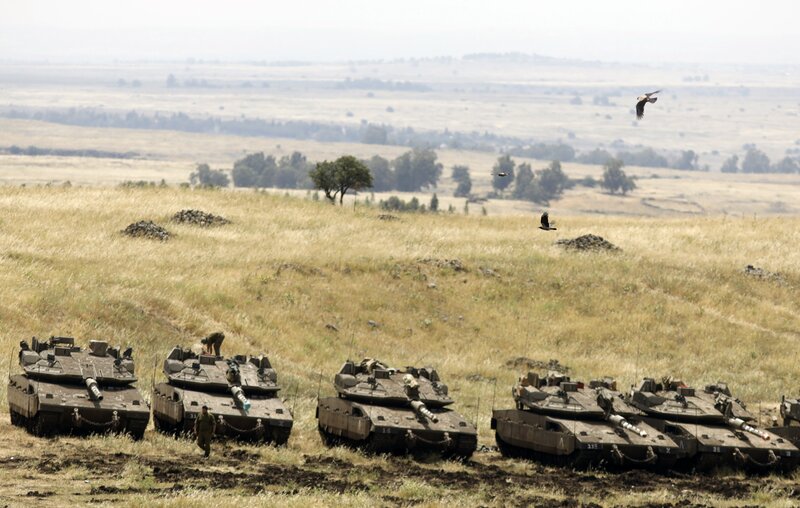 As it wrestles with this predicament, Hamas is trying to turn up the pressure on Israel -- most notably by encouraging weekly mass protests along the Gaza border fence -- without provoking an all-out military response that analysts say the group might be too weak to withstand. Israel planned to bomb Iran and initiate an all-out conflict in the Middle East said Tamir Pardo, Netanyahu's former head of intelligence. "If someone does that then it has two [possible] purposes: One purpose is that he really means [to attack] and the other option is that he is sending a signal, that someone out there should know," suggesting it may have been a message to the U.S.
Democratic lawmakers are warning the Trump administration against using Israel for short-term political gain, a move they fear might erode bipartisan support for Jewish state. Eliot Engel (NY), Ted Deutch (FL) and Brad Sherman (CA) accused Trump of acting with "political considerations" on Israel policy, citing decision not to invite any Democrats to the opening of the U.S. Embassy in Jerusalem. A French-Muslim news outlet and a prominent anti-colonialism activist published an alleged hit list featuring Jewish groups and individuals. 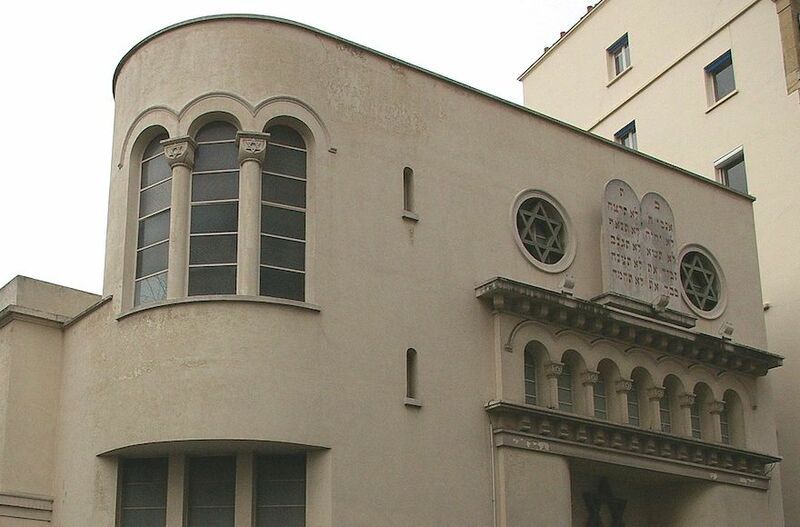 It included the CRIF umbrella group of French Jewish communities; the Socialist Jewish politician Julien Dray; former Prime Minister Manuel Valls -- a supporter of Israel whose ex-wife and children are Jewish; and a radical left-wing politician. Included was a picture of a character from the "Game of Thrones" where she lists the people she plans to kill. The intelligence agency for the German state of Baden-Württemberg referred to the boycott, divestment, sanctions (BDS) movement as a "new variation of antisemitism" in its newly released May intelligence report. In its report, the intelligence agency specifically targeted an anti-Israel group that supports BDS. This is believed to be the first instance of a German domestic intelligence agency labeling BDS as antisemitic and a security threat. A recent Supreme Court decision is already wreaking havoc on women's reproductive health in Arkansas. SCOTUS refused to accept Planned Parenthood's challenge to the red state's ban on abortion-inducing medication on Tuesday, and already, Planned Parenthood is canceling abortion appointments in Arkansas as the law went back into effect immediately after the decision. According to a new report from the National Academies of Sciences, Engineering and Medicine, abortion is safe. The report finds that medically unnecessary regulations, such as the Trump administration's proposed "domestic gag rule," negatively impact the quality of abortion care and harm women. Experts have determined that having an abortion will have no impact on future fertility, breast cancer risk or likelihood to experience mental health disorders. As legislators mount political attacks on reproductive health services, it is worth remembering that every abortion provider is just one motivated anti-abortion extremist away from being targeted. 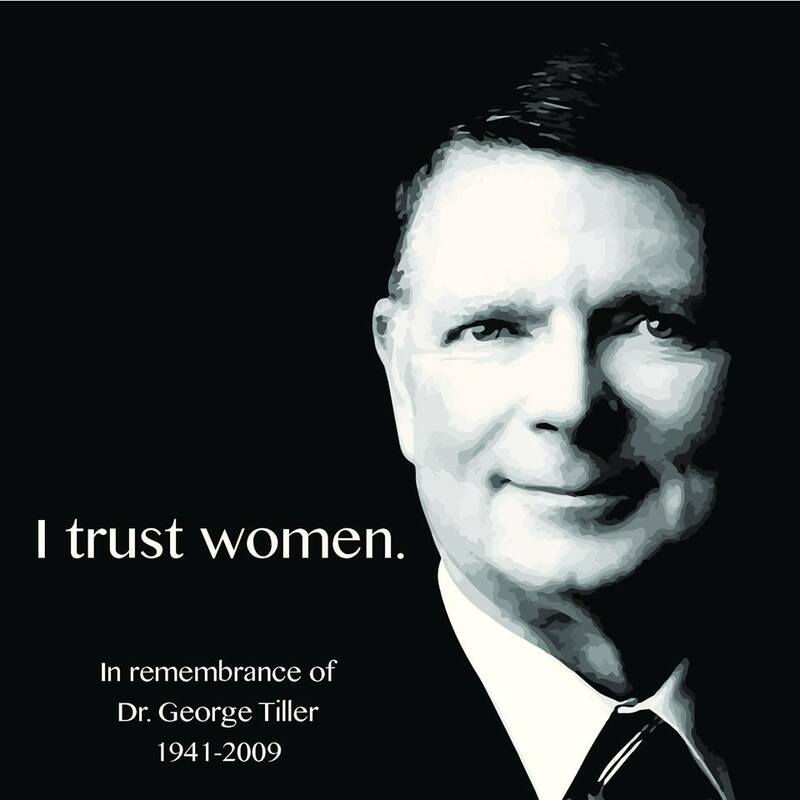 Nine years ago, Dr. George Tiller was assassinated at his Kansas church because he provided abortions. A team of nearly three dozen Arizona educators worked on new science standards for the state - the first update in almost 15 years - which were presented to the Arizona Board of Education. But when their draft was released in March, the teachers were not pleased to see the words "evolution" and "evolve" crossed out. 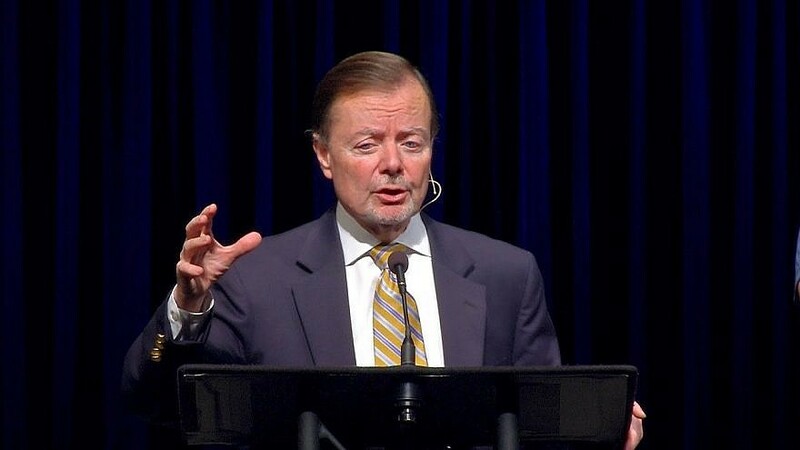 President Donald Trump named Gary Bauer, the Washington director of Christians United for Israel, to the U.S. Commission on International Religious Freedom. Christians United for Israel has become a pro-Israel lobbying force in Washington, D.C., and state capitals, with its politics skewing to the right. As proposals to arm teachers sweep across the nation, insurance companies are being forced to weigh the risks of these plans. Some insurers are balking. Some are agreeing to provide policies but lamenting the lack of evidence about whether it makes schools safer - or increases the chances of people getting shot. Others are raising rates. Conservatives are controlling most of the Supreme Court's closely divided cases so far this term by sticking to the words written by Congress. The justices have settled challenges involving the rights of workers, immigrants, prisoners and patent owners by defining the meaning of "for," "shall," "any," "other," "satisfy" and "salesman." The result has been a series of 5-4 decisions written by Justices Neil Gorsuch, Clarence Thomas and Samuel Alito that rely on "textualism." Author Margaret Atwood, whose novel The Handmaid's Tale has been turned into an acclaimed TV series, predicts conflict, hardship and an increasing struggle for survival for women as climate change takes hold. "More extreme weather events such as droughts and floods, rising sea levels that will destroy arable land, and disruption of marine life will all result in less food. Climate change will also mean social unrest, which can lead to wars. Women do badly in wars - worse than in peacetime." A former Cambridge Analytica employee told lawmakers the firm used "voter disengagement" tactics to discourage certain groups -- namely African Americans -- from casting ballots in an effort to help Trump win the election. A plan was set to convince black voters in Pennsylvania, North Carolina, and Florida to support Trump. $1 billion in investments to restore urban communities was promised and Hillary Clinton was framed as an enemy to minority voters. A decade ago, Jared Polis made history as the first openly gay man elected to Congress. Most voters did not get a glimpse of his longtime partner until the couple shared a hug onstage. The Polis family's increasing comfort in the spotlight is a healthy development in politics. The 2018 election season has seen a surge in candidates who publicly identify as lesbian, gay, bisexual or transgender. On Wednesday, National-Security Adviser John Bolton chose Fred Fleitz -- who for the last five years served as a senior vice president at the Center for Security Policy-to be the National Security Council's executive secretary and chief of staff. What makes that choice extraordinary is that, for more than a decade, the Center for Security Policy (CSP) has been arguing that American Muslims who observe shariah, or Islamic law, don't deserve the protections of the First Amendment. 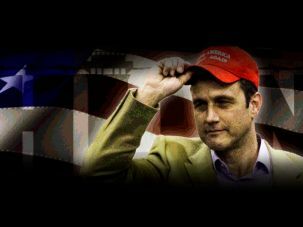 Why Do Racists Keep Popping up in Republican Primaries? "Republicans seek alternative to 'Nazi' candidate after he secures nomination," one headline reads. "GOP House candidate in Illinois is a 9/11 truther; says Beyonce has ties to the Illuminati," another says. Both headlines would be alarming enough if they weren't about two separate congressional races. The emergence of fringe candidates as the top challengers in these two districts and elsewhere is giving Republicans headaches. And it is raising questions as to who or what is to blame for the seeming mainstreaming of hate- and conspiracy-mongering. 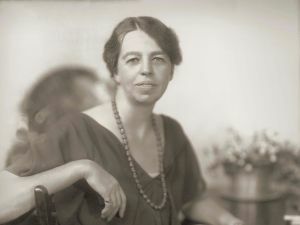 A 1957 letter written by Eleanor Roosevelt in which she vigorously defends Israel's actions during the Suez Crisis is being auctioned off. Auction catalog calls it "an exceptional letter, with rare content by the First Lady showing her commitment and refusal to equivocate on the state of Israel." Visitors to sites of Holocaust memory are not always known for proper decorum. 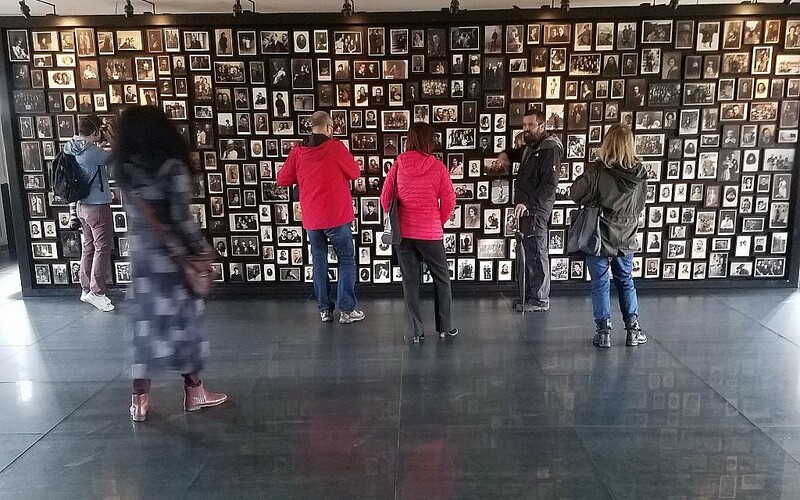 In "Postcards from Auschwitz: Holocaust Tourism and the Meaning of Remembrance," author Daniel P. Reynolds tracks the evolution of visiting sites associated with the murder of 6 million Jews during World War II. Taking a broad view of the subject, Reynolds examines the "gaze" of tourists at former Nazi death camps, in addition to the evolution of several "urban centers of Holocaust memory," including Berlin and Jerusalem. "I am a willing participant in this conflict. I choose to be here because I feel that it is the moral, it is the ethical thing to do."